Whaller is a platform that enables its users to create private social networks for their organization or community. "Very good platform to communicate with people worldwide"
It has a good privacy and is an alternative to the most common social networks. It offers a good opportunity to integrate user communities worldwide. Privacy is guaranteed and is highly intuitive. I really love Whaller, I just miss a mobile version but I suppose it's something that should be almost ready. I created a profile and started using Whaller as an alternative to Facebook, considering all issues related to privacy and business related to Facebook. This application is excellent because it offers the opportunity to people from work and other places, knowing that their data and private information will not be used for advertising or other forms of business with their clients. My company started to integrate with Whaller as it is emerging as a very important social network in the very near future. We have known and interacted with more than 100 people and have served as support to promote our website on the latest medical advances. Thank you very much for your review. We're happy to hear that you like Whaller. You can already download the Whaller mobile app on iOS and Android. "Una red social dedicada al trabajo en equipo para empresas u otros ambitos." Nos gustó usar el producto porque entendimos la importancia general de los medios sociales en el lugar de trabajo. Una cosa es tener medios sociales. Otra cosa es entender por qué es importante y también estar seguro al usarlo. Whaller dice que las interfaces son claras e intuitivas. Esta es una afirmación audaz. Creo que tener interfaces claras e intuitivas puede ser algo muy positivo. Necesitaré usar más el producto para desarrollar una visión clara de las interfaces. En general, no hay nada que no nos guste. Recomendaría comprar el producto y enseñar a sus empleados por qué las redes sociales son tan importantes en el lugar de trabajo. Con demasiada frecuencia, a los empleados no se les enseña la importancia necesaria de esto y esto conduce al fracaso. Hemos resuelto el problema de la eficiencia en el ámbito de las redes sociales. Contratamos a alguien para que dirigiera los medios sociales y son muy buenos en lo que hacen. Sin embargo, los medios sociales sólo pueden funcionar cuando todos los que usan el producto sienten que tienen una gran organización y protección. Esta empresa permite que eso sea posible. What Employee Intranet solution do you use? "Una red social para pequeños grupos o medianas compañias"
Puede ser utilizado para pequeñas y grandes comunidades y puede crecer fácilmente! Recomendaré Whaller a mis comunidades como asociaciones y pequeñas empresas que utilizan el correo electrónico para comunicarse. Whaller es mucho más fácil de usar! Fácil de encontrar documentación importante, fácil de organizar el trabajo y las reuniones tanto con compañeros de trabajo como con mis alumnos. Necesidad de invitar a la gente a cada esfera de la organización, pero probablemente me perdí en cómo invitar a la empresa y seleccionar en un solo mensaje las diferentes esferas. Recomendada para crear grupos de trabajo ya sea con personal de la empresa o como es mi caso para cada grupo de alumnos. Nos ayuda a crear grupos de trabajo con los alumnos, en caso de que necesiten ayuda podemos comunicarnos por este medio. Podrías usar otra plataforma pero en la gran F, hay muchas distracciones y aquí podemos enfocarnos en el trabajo escolar. "Un excellent outil pour mettre en réseau des personnes: facile, intuitif, complet"
J'ai créé un forum Whaller de 180 personnes aujourd'hui. Forum que j'administre depuis 4 mois maintenant. La création du forum a été très simple. L'ensemble est intuitif et ne demande aucune connaissance informatique particulière. L'application Android est un plus interessant. Le forum que j'administre a été créé pour mettre en réseaux, sous la forme d'une collectif, des agences d'architecte paysagiste à travers toute la France. Cela nous permet au quotidien d'échanger entre nous de manière très facile et efficace. Y compris par l'application mobile (androïd).
" 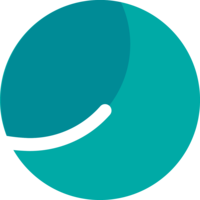 Build Own Private Social Networks"
Whaller is a social networking software that enables organizations and associations to make their very own social system. A corporate social system enables organizations to keep up interior correspondence between organization representatives; energize the trading of thoughts among associates; and helps better coordinated effort in work ventures. For instructive gatherings, Whaller goes about as an augmentation of the classroom and causes understudies to oversee assemble ventures. Having the shot of getting social system administrations with the realizing that your private information isn't being utilized for exposure is a quite incredible accomplishment these days, despite the fact that the versatile variant isn't comparable to the web one, it doesn't meddle with the superb recommendation that Whaller offers. To me, this is a win-win circumstance. Whaller presents to us a keen method to communicate with our group and clients, on a private environment . Whaller is totally customisable and allows you to integrate your own tools. "My opinion on Whaller !" I give the rating of 5 stars because I think that Whaller is very promising and very well designed. The design is very nice. I registered on Whaller on March 21st because I happen to get tired of Facebook and on top of that, I was looking for a competing solution to Facebook and French, which does not spoil anything. I just installed the application on my smartphone. I intend to talk about this social network around me because all my contacts are on Facebook. For the moment, I have not noticed any defects in the use of Whaller. I am just a Whaller user and not the founder of this social network. I can not answer this question since I use Whaller personally and privately since 21 March 2019. ""Amazing item make a network of individuals. "" Whaller is a long range informal communication programming that empowers associations and relationship to make their own one of a kind social framework. A corporate social framework empowers associations to keep up inside correspondence between association agents; invigorate the exchanging of contemplations among partners; and helps better organized exertion in work adventures. For informational social occasions, Whaller goes about as an expansion of the classroom and makes understudies manage gather adventures. I would recommned acquiring the thing and empowering your delegates concerning why online life is so basic in the workplace. Irrationally oftentimes, laborers are not energized the essential essentialness of this and it prompts frustration. We have handled the issue of capability inside the electronic long range informal communication space. We contracted someone to run electronic life and they are phenomenal at what they do. Regardless, web based systems administration can work when everyone using the thing feels like they have unprecedented affiliation and security. This association empowers that to be possible. "Excellent product create a community of people. " I was using "Whaller" as a regular social network. What do I like from it, that everything is private and it is a good option to use it in school, University or work. Using Whaller helps me to not be scared, that my information, data, work will be published somewhere or will be used on their own way. All information is really secure and private!!! I am happy to find a such good social network. Computer version is very good! The mobile version (ios or Android) application does not work properly. A lot of features I am not able to use on my phone. This is a really bad and unconformable thing. Because I do not have my laptop with me every time. They have to improve it! Whaller is the most secure, easy to use and private social network! You can create a group of your colleagues. There are a lot of features (but not on mobile version). ""A phenomenal apparatus to arrange individuals: simple, instinctive, complete""
Whaller is a long range informal communication programming that empowers associations and relationship to make their own one of a kind social framework. A corporate social framework empowers associations to keep up inside correspondence between association delegates; invigorate the exchanging of musings among partners; and helps better planned exertion in work adventures. For informational get-togethers, Whaller goes about as an increase of the classroom and makes understudies manage gather adventures. Whaller says the interfaces are clear and instinctive. This is a striking proclamation. I think having clear and natural interfaces can be extremely positive. I should utilize the item more to build up an unmistakable vision of the interfaces. When all is said in done, there is nothing that we don't care for. I would recommned purchasing the item and encouraging your representatives concerning why web based life is so critical in the work environment. Unreasonably frequently, workers are not encouraged the vital significance of this and it prompts disappointment. We have tackled the issue of proficiency inside the web-based social networking domain. We contracted somebody to run web based life and they are extraordinary at what they do. In any case, online networking can possibly work when everybody utilizing the item feels like they have extraordinary association and security. This organization enables that to be conceivable. "Since I know Whaller I use it every day"
I like the opportunity to access to several private networks with one account. I like to be sure to have the control on my familly network. And over all I like it is a European network with European / French rules. Yes Whaller is another way/app for social networks, but I know and I am sur my data are not "required" and resold, business is not made in my back with my personal and / or professional life. The application on mobile has to be improved. My main use is very special as it is for our family "social" network, but Whaller is the best application for this usage. I use Whaller for relationships with academics of my business network. My company will very probably use it next year (2018) - our subsidiary company does and is very satisfied with this professional network application. I mainly use Whaller for our social (very large) family network. The use of the spheres is very good for that. With Whaller I keep contact with my networks - professional and familial - all the day. The mobile app is usefull while the day but at the end of the day I use my PC/Firefox to manage my network. "A good toll for the creation of private social networks." It is a good platform that allow the companies to make their own private social network. This creates a link between the employees and also between company and customers. It is a good base for promotions, emails, exchange of thoughts and better coordinated works. It works very smoothly on PC but still needs to work on from the applications on mobile. It is easy to use and easy to set up. Very quick that helps you making the social network very easily and quickly. Thus saves your time. It is a great method and a great way to build connection between employees. This way the company can communicate better. Another thing is that by connecting with customers helps you to send the promotions very easily and also know their point of views and feedback which you can ponder over. "Since i have know Whaller We all utilize it every day"
I like the possibility to accessibility to several private networks with one account. I like to be certain to have the control on my familly system. And over all I really like it is a Western european system with Western european and French guidelines. Indeed Whaller is another way/app for interpersonal networks, but I actually know and I actually am sur my data are not "required" and resold, business is not made in my back with my very own and / or professional life. The particular particular application on mobile should be improved a bit. My main use is very special since it is for the family "social" network, but Whaller is the finest application for this usage. I use Whaller for human human relationships with academics of my business system. My company will very probably make full use of it the arriving year (2018) - our subsidiary company does and is very pleased with this professional system program. I mainly use Whaller for the interpersonal (very large) family system. The consumption of the spheres is very good for that. With Whaller I actually keep contact with my networks - professional and family - all the day. The mobile iphone 4 iphone app is usefull while the day but at the ending of the day I personally use my PC/Firefox to control my system. We liked using the product because we understood the overall importance of social media in the workplace. It is one thing to have social media. It is another thing to understand why it is important and also to be safe using it. Whaller says that the interfaces are "clear and intuitive". This is a bold statement. I think that having clear and intutive interfaces can really be an extremely positive thing. I will need to use the product more to develop a clear view of the interfaces. Overall, there really isn't anything to dislike. I would recommned buying the product and teaching your employees about why social media is so extremely important in the workplace. Far too often, employees are not taught the necessary importance of this and it leads to failure. We have solved the problem of efficiency within the social media realm. We hired someone to run social media and they are great at what they do. However, social media can only function when everyone using the product feels like they have great organization and protection. This company allows that to be possible. "The use of Whaller is fuently and accessible." Whaller is much easier to use! It is easy to find important documentation, easy to organize work and meetings. The user interface is getting better and better and users can quickly understand how it works and where to write or search for information. Possibility of writing temporary messages, which are self-destructive ("recording messages), the publications allow the creation of polls, events and scribbles, notifications when adding a document to the box, PDF document viewer in spheres, Mobile application: new network creation path, mobile application: viewing of entry requests. The defect is the mobile application. there is too much features we can not make yet compare to the computers version. For now it's the best product to creat a community of customers/users and generate engagement. With a large choice of features (even in the free version), Whaller is a great way to create a smart and rich relationship with your community. Whaller is easy to use and customizable, facilitates videoconferencing and sharing information among my colleagues, It is not necessary to verify if friends of my friends can or want to see my publications or my photos, not here I am in a safe space and I know very well who can read my messages. It's very convenient since I can use it to assign tasks for a project, share a folder full of files and not just a single file. It is easy to get help from its founders and engineers, and help you implement Whaller if necessary. While Whaller has some excellent characteristics, it is difficult to convince my co-workers to adopt another separate space for communication. The mobile application can use a little more work. This would make things easier for me since I am constantly on the move. I can get what I need done in no time and you can create a really great relationship between your employees using a platform like this. With Whaller it is a great way to stay available for friends (old and new) customers, fans, and is the ideal tool to send a message or an idea about a large community of people who follow you. In addition, it is a faster way (cheap or even free) to get feedback, advice, or opinion on the product, idea or even mood. "assists you in building better communication and collaboration in company"
A good tool that helps you in building private social networks in the company. This will lead you to include employees and customers which can contact each other instantly and help each other in any issue. It PC version works best and fast but not the mobile version. Thus improvement is needed in this. Very easy to install. Uncomplicated and uncompounded so great for users. Easy to interpret so great for starters. Helps to manage business deals effectively. An excellent software that helps you yo organize and manage communication and synchronization by building you own private network in the company. It enables the company to keep the communications to themselves and keep their clients updated about their latest success and work. "Interesting Solution for Network Communication "
I wish that there were a way to integrate this platform into another means of communication already in use among my staff. While Whaller has some great features, it's difficult to convince my coworkers to adopt another, separate space for communication and also expect them to check it as regularly as their email and Google Calendar. As mentioned before, this helps with team/group-based communication, which is common at my workplace. This helps me to organize my network in the various groups and teams with which I work so that I can eliminate sending and receiving unnecessary or irrelevant emails. "A complete solution for your business"
I like the fact that it is a completely private tool. I use it to communicate with my project partners. It is very convenient since I can use it to assign taks for a project, share a folder full of files, and not just a unique file. If you use Dropbox or Google Drive, you cen replace the native file manager by a Dropbox or Google Drive Widget. I do not need to use a task manager app with my Whaller teams thanks to the native task kanban but it is not as powerfull as Trello even if it meets my needs. The customer support is great. It is easy to get help from their founders and engineers and they help you implement Whaller if necessary. Overall, Whaller is a very nice tool for teams. It can be a social network for you company, a file management tool, a project management tool and even a simplistic version of Sharepoint. I think the mobile app is one thing that needs to be improved. It is something that is very common with apps that offer a lot of features: they can’t all fit in a mobile format. They said they are improving the mobile map so it will be ok soon. I do not even use the app thatmuch but I had to fill that space. It is a great tool for education and work because it makes your productivity increase. However, to make sure it is really useful, you’ll need to convince, and even force your team to use it. There will always be people that will not fancy using a tool they don’t know and you need to convince them. It is also true for every collaboration tool. I was using Flock before Whaller. Flock is nice but I needed several oher features and adding a common Dropbox/Box, Trello/Asana, calendar integration that will satisfy everyone in my team would have been complicated. Whaller offers all these features even if they are not as powerfull. It is enough for me and my team. "Grâce à Whaller notre dispositif Mobi Snalc est performant"
L'outil de réseautage privatif de Whaller est esthétique, évolutif, créatif, souple, doté de dizaines de fonctionnalités qu' il est possible de croiser à l'envi pour concevoir tout type d'intranet collaboratif voire des ENT pour TPE ou PME avec peu de moyens financiers pour un fonctionnement optimal, hyper sécurisé grâce à l'ingéniosité et la forte réactivité des ingénieurs et de toute l'équipe de Whaller. J'utilise cet outil depuis juin 2014 avec plus de 3000 heures de pratique à mon actif, et je suis capable actuellement de concevoir tout type de logistique ou de dispositif avec ou de former des équipes qui souhaiteraient gagner du temps. Whaller c'est l'anti GAFA car aucune donnée n'est utilisée par whaller qui ne diffuse aucune publicité et assure un service en ligne d'assistance d'une qualité rare. Bravo Whaller et merci ! Tout est formidable, continuez de nous enthousiasmer ! À chaque dispositif que je conçois je gagne un temps de conception très important en regard d'autres outils pour un coût très compétitif sur cette niche de marché. "It has been very helpful"
This software has a variety of useful features. It is also very user-friendly. And its simplicity is magnificent. You cannot say that it is cheap, it is quite expensive actually. I would tell you to look no further, Whaller is simply amazing. We use it for team collaboration and for employees in the same team to keep tabs with each other and the higher-ups. "A new secure exchange space"
- A few small bugs but the staff is always listening to our needs. It is a great tool that helps the organization make their own social network. It assist you in the developing constructive thoughts and make a building effort in your work ventures. The applications are not as smoothly working as the desktop version so company need to update on that. The features of this software are very easy to use making it easy for beginners. It helps being user friendly and saves time,. A excellent social networking system that makes an easier connection with the group and clients. helps you get the feedback and assists in improving the community. "Good app for organizations of your services"
It's intuitive and easy to use, very fast to charge and useful. It promises security and privacity. I don't dislike anything, all is good on this app.. The price is a bit high... For the content but it's provate, and secure. In 2 years I never had a problem with this organization. If you are thinking in use it, it's really comfortable and really easy to use. I aren't solving any problems right now with Whaller. "Whaller me réconcilie avec les réseaux sociaux"
J'aime la simplicité et la clarté avec laquelle on évolue dans les sphères. Pas besoin de vérifier si les amis de mes amis pourront ou verront mes posts ou mes photos....non ici je suis dans un espace "secure" et je sais de façon très simple qui peut lire mes messages. Rien de spécifique. Le produit évolue sans cesse et très rapidement. L'aide fournit est très réactive. Whaller me permet d'entrevoir une évolution dans mon métier et d'améliorer la qualité des communications avec les membres de l'association à laquelle j'appartiens. Whaller dispose d'outils comparable à de vrai accélérateur de croissance. "Right platform for a school project"
You can share a lot and select who you want to share it with. The videoconference has the best image quality I've experienced so far. The order of messages is not always logical to me. Is it just French or is it international ? Cheap and confidential social media tool. We are launching an international school project. The confidentiality of Whaller will be key to convince teachers to participate. "Communicate and share, safely and easily, with Whaller." The principle of Sphere. As a group, we want to include some external parties in specific discussions. With Whaller it's as easy as 1-2-3. Some trouble with the user experience of the Android mobile application. But, maybe it's because I discover Android User eXperience. Easily share and retrieve information. Groups (spheres) with selected people. Creating groups is very easy - people enjoy sharing info. - Lack a 'all unread' posts displaying posts from whatever groups I belong to. Il me permet d'animer les équipes au delà des murs de l'établissement. La gestion des notifications pour les collaborateurs peut être compliquée. Il me permet de suivre les dossiers avec mes équipes. "I have become a Whaller addict!. ." I like the privacy, the fluidity in use, and the constant amélioration to fullfil the users needs. Non profit organisation : People are at ease with the privacy proposed by Whaller. Student: good WAX to maintain links with alumni. Very easy to use, with a lot of functionalities. And available on desktop as well as on mobile, with the same easiness. A few small bugs but the staff is always listening to our needs. "A social network suitable for all company size"
Design : a tool that you can use in a professionnal or personnal way. User-friendly and customizable, Whaller is pleasant to use, more than Workplace and especially safer. The Whaller Team is very listening and available so that you can easily propose improvements. A collaborative tool in every way ! Maybe the mobile app that is not very convenient, but sure it will be improved. Improve social relationship between employees despite the geographical distance. Tool of internal communication. The program runs really smooth as long as the internet is good! I haven’t had to many problems with it at all. Sometimes this particular program crashes. I completely hate it when that happens! I solved a metrics with Whaller. The benefits are unlimited. really like the simplicity and accessibility of of the system. Easy framework to help navigate around system. there is a lot of features we don't use in our office. It is good to have additional admin users to help with functionality. This helps with the initial use of the application in relation to keeping up with current work flow. I like the privacy and the protection. Unlike Facebook, you always know who is reading. I haven’t found anything I am not satisfied with yet. So far so good. If you want privacy, sevurity this is thenprogram for you. The videoconference is the tool i like the most. In my field we have lots of meeting and decisions making and with life today it gets more and more difficult to try to get people together for a meeting. This way we can sit comfortably whatever we are and still stay on task. The software is very functional and is getting better and better. The that does not work as well as I would like it to. You can create a really great relationship amongst your employees using a platform like this. It unites differences and makes life easier at the same time. "Whaller exactly fits my needs"
You can collaborate with colleagues and has good visualizations. Not all colleagues are up to speed on some of the features. Making our meetings more animated. The help features are very straightforward & concise. Thr Graphical user interface is convoluted. "I use this almost every single day..."
I like the privacy aspect of Whaller. Using Whaller makes it easy for me to videoconference as well as share information amongst my peers. The mobile application can use a little bit more work. This would make things easier for me since I'm constantly on the go. I am able to communicate more efficiently using Whaller. The ease of its use makes it a great benefit. I can get what I need done in no time. Whaller is such a user friendly system that I love using. My colleagues and myself love it. Easy to utilize, I would recommend the product. * We monitor all Whaller reviews to prevent fraudulent reviews and keep review quality high. We do not post reviews by company employees or direct competitors. Validated reviews require the user to submit a screenshot of the product containing their user ID, in order to verify a user is an actual user of the product. Hi there! Are you looking to implement a solution like Whaller?